Kā izvēlēties niršanas un snorkelēšanas piederumus? 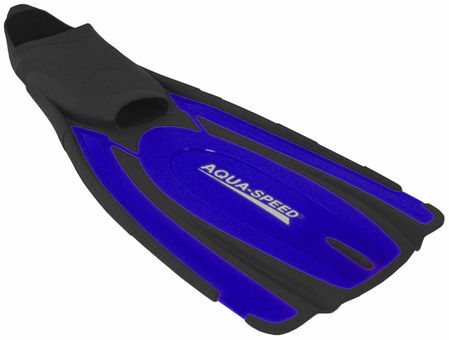 Modern, comfortable, medium stiffness, very effective fins for swimming. Rubber insert in the front of the fin creates a tunnel to flow water to the rear thereby increasing the thrust and speed of fins which greatly reduces fatigue. Made of modern, highly durable plastic - rubber and polymers. Oblong, rubber reinforcements on the sides of the fins provide their strength while protecting against damage. Ensure optimal relation between comfort and durability.